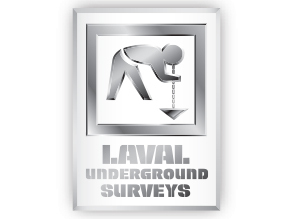 Laval Underground Surveys pioneered the concept of well camera inspection more than 60 years ago. Invented by Claude Laval, Jr., Laval borehole camera systems are now installed throughout the world, leading the way in video quality, ease-of-use and commitment to customer service and satisfaction. Today, Garrett Jones leads the company and continues to build on the foundation of innovation created by Claude Laval, Jr.
We were the first. The original. And still the leader. 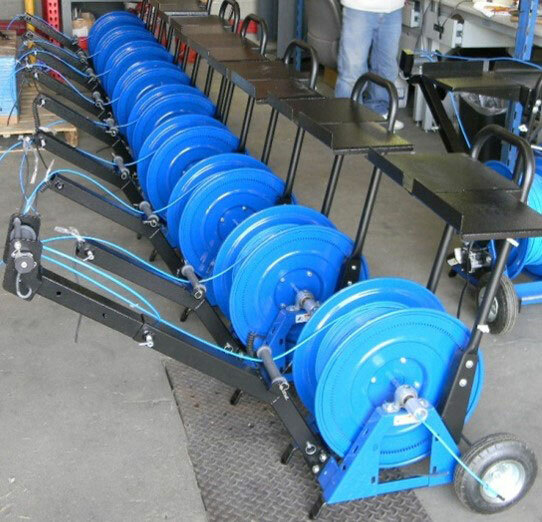 Our spirit of innovation continues into 2016 with the release of our newest product, the DW-2000. Claude Laval, Jr., following in his father’s footsteps as a commercial photographer in California’s San Joaquin Valley, was approached in the early 1940s by a local pump manufacturer who challenged him to develop a camera that could take pictures down in a water well. Rather easily, Mr. Laval waterproofed a camera and his first test pictures (taken of nuts and bolts in a drum of water) turned out perfect. However, his first real test resulted in the camera being crushed by the pressures deep in the well. Trial and error eventually overcame a variety of challenges and before too long, Mr. Laval was operating a fleet of service vehicles equipped with his well camera systems for downhole photography. Those first borehole pictures were black and white stereoscopic slides, taken in pairs and mounted for viewing through a device much like today’s “Viewmasters”, producing a 3D look of the downhole conditions. The early well cameras were about 8 feet long and weighed about 80 pounds, capable of taking pictures to depths of up to 1,000 feet. Not long after the borehole camera began pinpointing downhole problems, the common problem of sand infiltration next caught Mr. Laval’s attention. 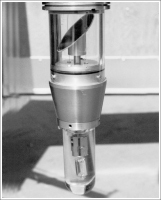 By mid-1950, Laval had developed and proven the concept of a centrifugal-action filter, capable of removing sand from water before it entered the pump, thereby protecting the pump from excessive wear and premature loss of performance. Today, that product is the core of a full range of filtration systems from water and process liquids in applications around the globe under the name of LAKOS. In similar fashion, the camera also revealed the need for a device that would repair damaged water well casings and restore the effective inside diameter of water wells in order to avoid abandonment and costly re-drilling of wells. Limited in his engineering background, but rich in his “can-do” attitude, Laval replaced the old “driving swage” and developed the first ever Electro-Hydraulic Swage, a system that accurately and gently reopens casings and presses liners in place to repair the casing and limit infiltration. 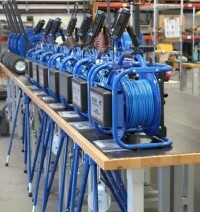 Shifting from the service business to the manufacturing side, Laval’s son (Claude Laval III) began packaging borehole camera van systems for sale to pump installers, drillers and contractors around the world. It was at this time that the well camera was also applied for the inspection of horizontal pipelines (i.e. 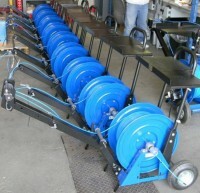 sewers, water lines, etc. ), leading to further market expansion and company growth. Technology led the way to further developments with the well camera, beginning in the 1960s when the stereoscopic slides gave way to live video (in black and white), in large part because of the breakthrough with small diameter, steel-armored cables, capable of handling power, video signals and the weight of the camera. Improved electronic designs and reduced componentry continued to shave the size and weight of the camera for use in wells as small as 6 inches I.D. and to depths of up to 10,000 feet. The mid-1980s saw the beginnings of full-color video borehole inspection, enabling operators to see details like never before. By the late 1980s, Laval’s well cameras had become small enough to inspect water wells and boreholes as small as 2 inches I.D. 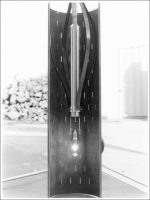 Miniaturization was also applied to the various components of the systems, enabling operators to specify lightweight portable systems for a wide variety of purposes. 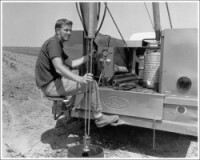 The basic well camera also underwent some changes when, in the late 1980s, Laval engineers developed a variety of techniques for not only viewing directly downhole, but also a side-view within a water well. Ultimately, a borehole camera was created that could do both with the simple flip of a switch on the above-ground control panel. This and other accessories have paved the way for expanded services, improved information-gathering capabilities, and increased professionalism by the operators of well camera systems. 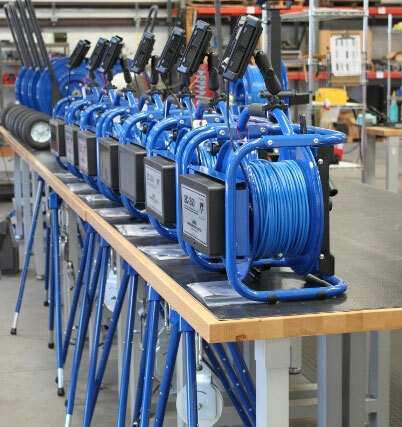 Today, the technology allows for Laval borehole video systems to reach new levels of sophistication, such as the package which is fully contained on portable cart system capable of full-color video to depths of 1,300 feet for remote water well inspection needs. 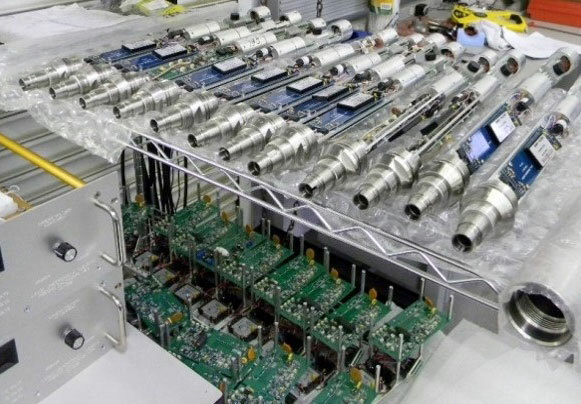 Geophysical logging and other diagnostic tools for the water well and borehole industry are also now increasingly interrelated with downhole video technology, leading to even greater knowledge and problem-solving.